I love participating in these specials because they give me another reason to write a post and review what I've learned. 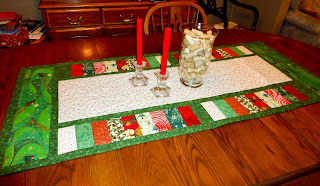 Since my blog is about Quilting and Learning, I thought that I would focus on the lessons I've put into practice this year as well as some of the lessons I learned the hard way! Make sure the tape is straight. 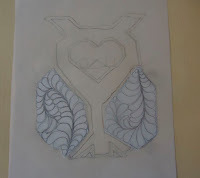 Practice drawing the stencil first. I tried many new techniques this year. Here are a few things I've learned this year that may help you in your quilting. I hope some of these lessons learned will help you learn from my mistakes! 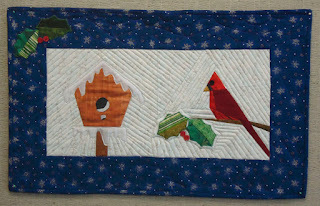 Participating blogs have linked to Meadow Mist Designs. Encourage the participants by viewing their posts. I've also linked to Needle and Thread Thursday, Midweek Maker, Off the Wall Fridays, Can I get a Whoop Whoop? Thanks for coming by. Happy New Year! 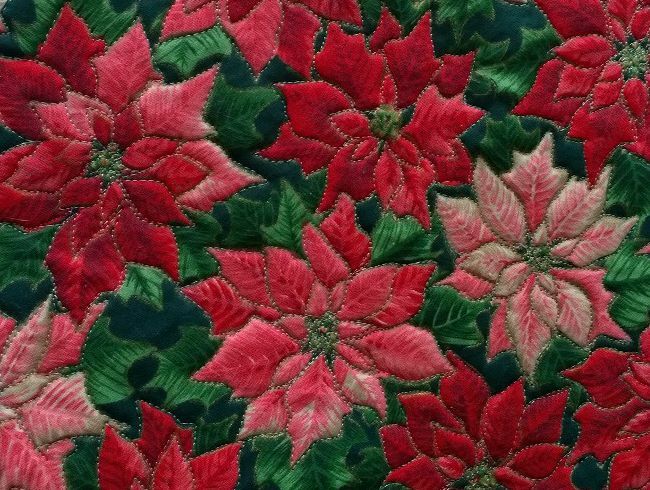 I haven't done any specific Christmas quilting this year, but when I found this (it must have popped out of the stash!) 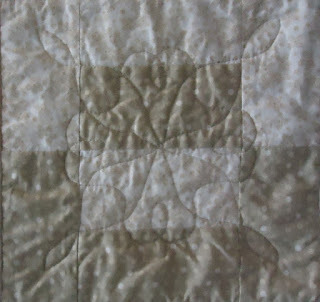 I knew that it would be a great little free motion quilting (FMQ) practicing opportunity. 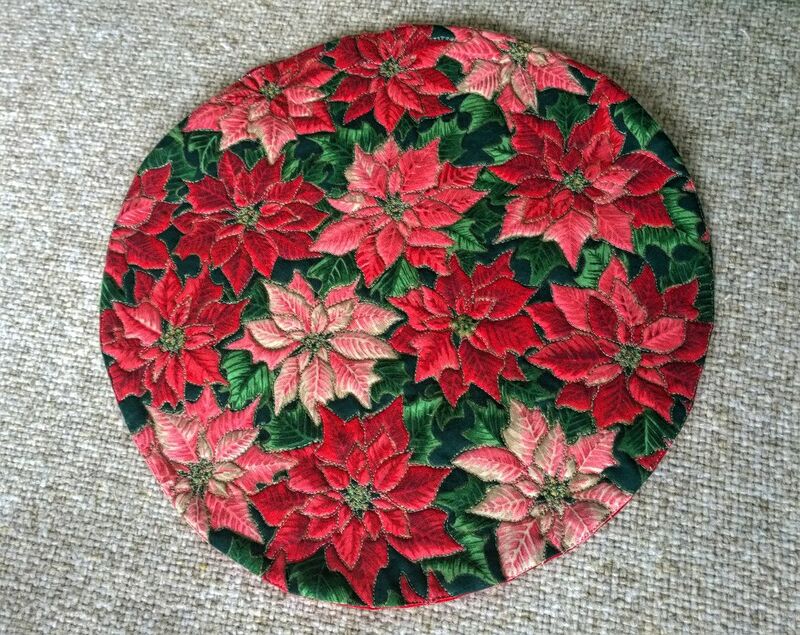 It's a hot pad with a poinsettia fabric top and a red pre-quilted backing. This project has been hanging around for about 10 years - since I inherited my Mother's quilting stash. She had sewn the front and back together but hadn't sewn the opening yet. 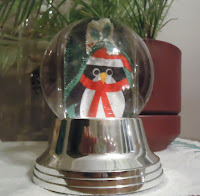 I must say that I had no idea what to do with it, until this year. 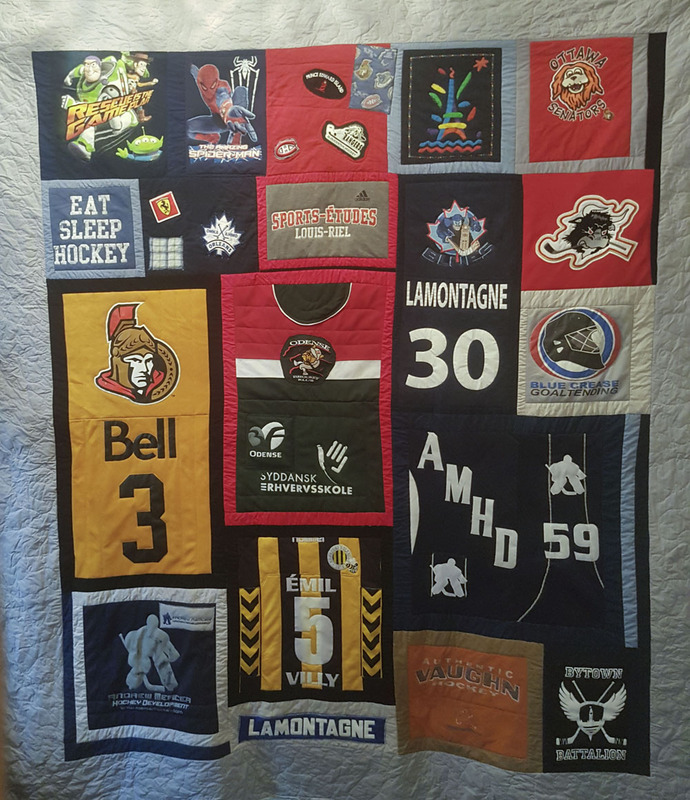 I just knew that FMQ it would be the right thing to do. I was going to use different coloured thread, but finally just used a silver Kimono silk thread on top and a Superior Bottom Line thread in the bobbin. After going around all of the poinsettia petals and the middle seeds, it was obvious that it was done. Don't give up on UFO's that you don't know what to do with. One day the perfect technique will come up. I followed some of my own advice (7 Ways to Survive the Holidays). I spent boxing day reading and playing with fabric. This is one of the results of the day. It was lovely! 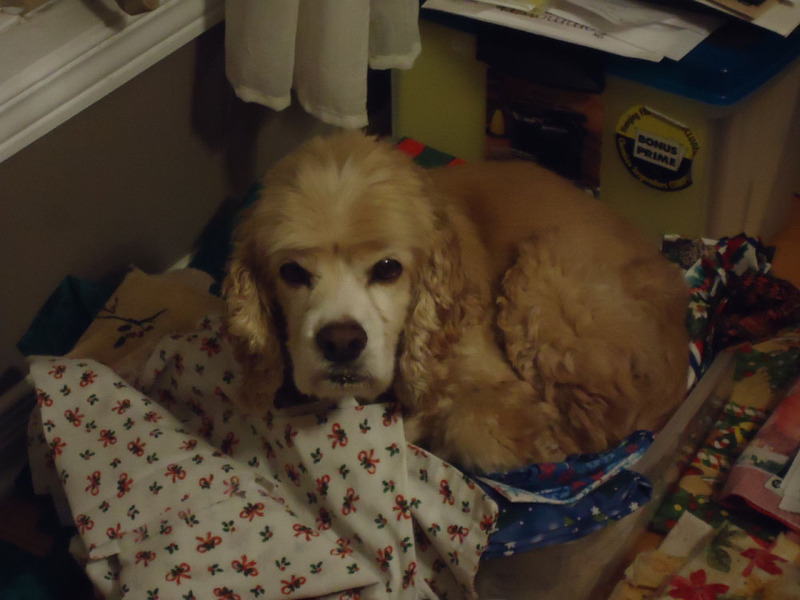 In case I don't post a blog before January 1st, Happy New Year! Wishing you all the best in 2017! responsible if others in your family don’t approve of these great innovative ideas! 1. HIBERNATE! This is my favourite idea! 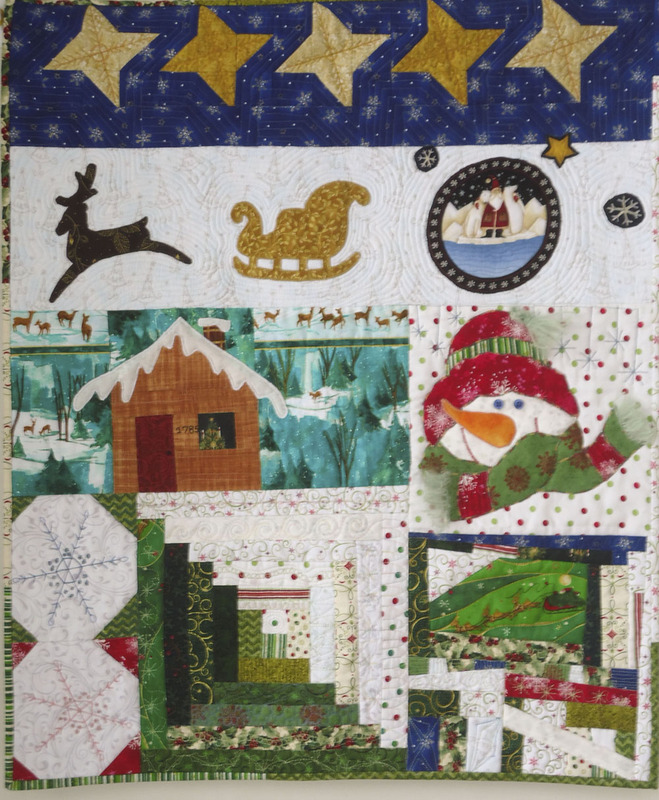 Hide out in your quilting studio and don’t come out till the holidays are over – or better yet, when spring is in the air. 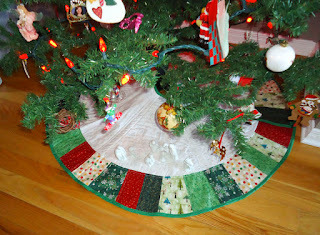 If you just can’t swing this, try asking for at least one day to yourself, in your quilting studio during the holidays. Hopefully that will be enough to energize you for a while. 2. 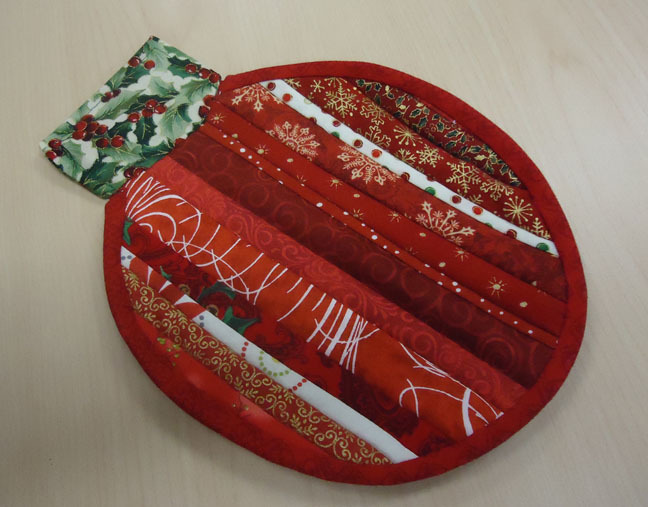 Quilted gifts: I can hear you wondering how this is going to help you survive the holidays since this is possibly one of your major holiday stressors. My innovative idea – give everyone on your list a quilty IOU. 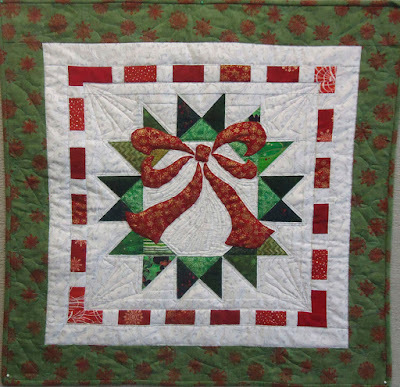 In a Christmas card or on a large gift tag, write down what their quilted gift will be (keep it general, small and realistic – they may actually expect you to deliver on this!) If you can’t do this for everyone, consider giving the hardest to-shop-for person a quilty IOU. 3. Decorating: Take out all of your Christmas quilts, runners and wall hangings and call the house decorated! 4. Cooking: Get yourself invited for Christmas dinner somewhere, pick up an amazing desert at your favourite local bakery and a bottle of wine. If you can’t pull this one off, consider cooking less. There are great places that make excellent food that you could buy for parts of your meal. If you’re having people over, when they ask you what they can bring, instead of saying “Oh, don’t worry about it”, seriously consider letting them contribute. If they are really good at making something, give them the pleasure of making and sharing it with everyone. Take out your quilts and call the place decorated! 5. Pamper yourself: while planning next year’s quilted IOUs, have a glass of wine, turn on (or off) the Christmas music and peruse the internet for fabrics you’ll need for those projects. There are lot of sales, so make sure to pick up a few quilting gifts for yourself! No matter how busy or stressed this holiday season gets, remember that you are blessed with all kinds of wonderful people around you. You are also blessed with this amazing art that makes your soul sing! Be grateful for all that you have. I hope that your Christmas / Holiday season is filled with love, joy, fun and peace. 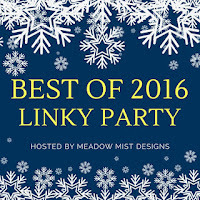 I've linked to these great linky parties. Check them out! 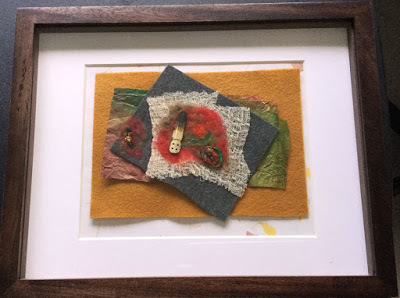 Linky Tuesday, Let's Bee Social, Midweek Makers, Needle and Thread Thursday, Off the Wall Friday, Finished or Not Friday, Can I get a Whoop Whoop? I have also linked up Bandit's picture to Pets on Quilts 2017. Check out everyone's adorable pictures! 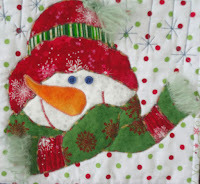 I was thrilled when Joanne of Canuck Quilter Designs asked for volunteers to test the pattern for her new Tic Tac Who? Baby Quilts. I've always wanted to do this, so I volunteered and she accepted. 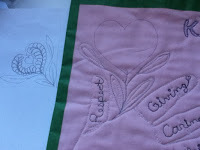 I was contemplating what colours to us when I talked to my friend and colleague, Kathy, about this latest project. 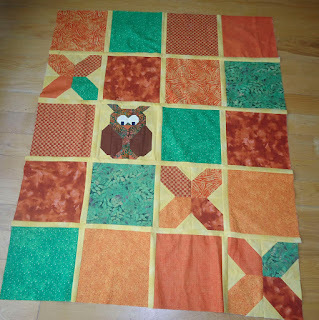 Since I didn't know who I was going to make the quilt for, and Kathy needed a baby quilt for her nephew's new baby, we agreed that Kathy would pick and buy the fabric and that I would make the quilt. 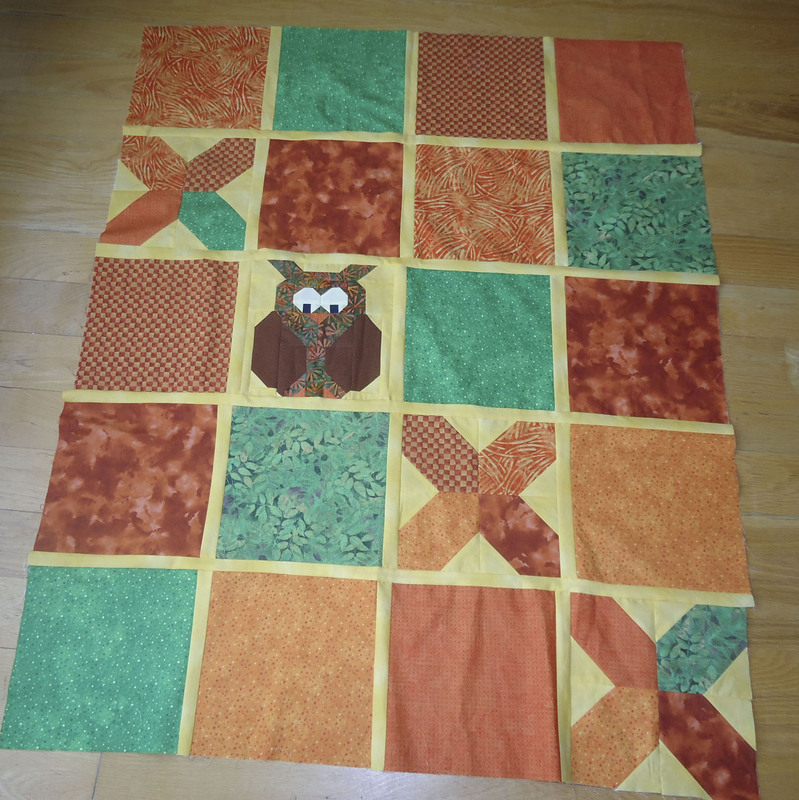 I would make the Tic Tac Hoot baby quilt, the one with the owl. I received the pattern and had roughly a month to make either some of the panels or the whole quilt. 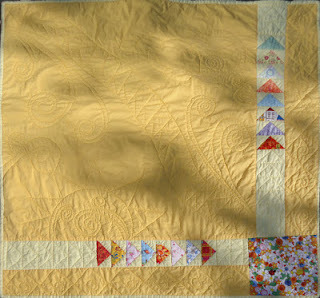 When I agreed to make this quilt, I didn't know that I would be travelling to the American South-West. It was actually great timing since it gave Kathy time to shop and then wash the fabric. When I got back, everything was ready for me! 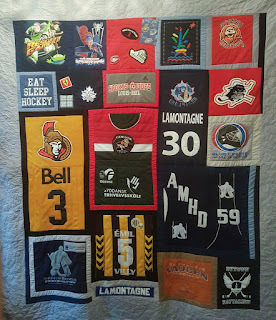 It took me roughly two weekends to make the quilt. 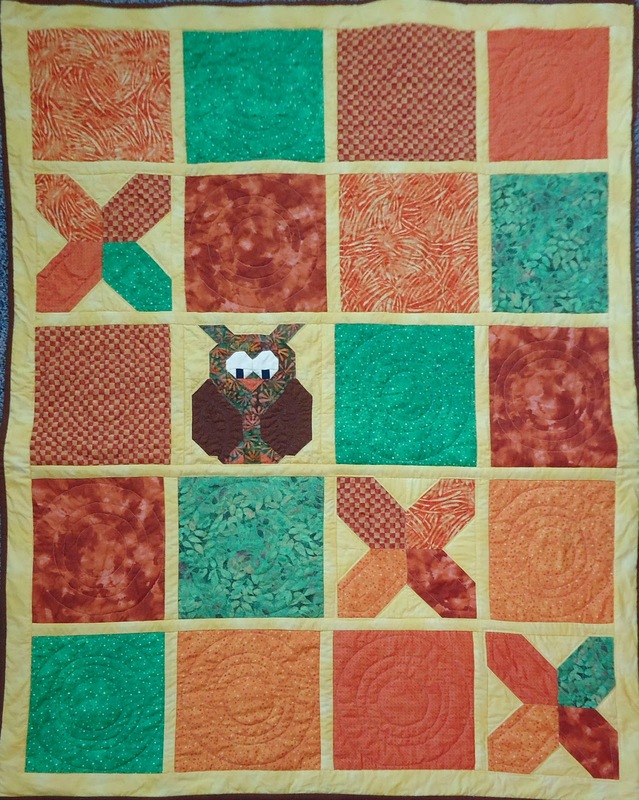 The pattern comes with three options - a duck (easiest), a puppy (easy), and the owl (more challenging). It took me a while to piece together the owl. The instructions were clear but I needed to un-stitch quite a few pieces, mostly because I kept forgetting that the yellow was not Kona fabric and therefor wasn't the same on both sides! 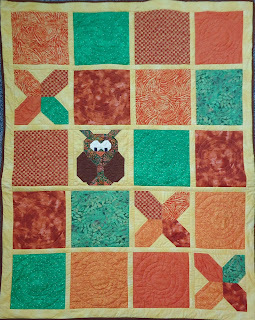 Tic Tac Hoot - all finished! For the quilting, I stitched-in-the-ditch around the sashing. My stitching isn't great, so I wanted something different for the "X"s. I ended up quilting in the yellow space, outside of the "X", about a 1/4". I then did the same inside each "X". I also quilted 4 circles inside the coloured blocks, to go with the tic-tac-toe theme. 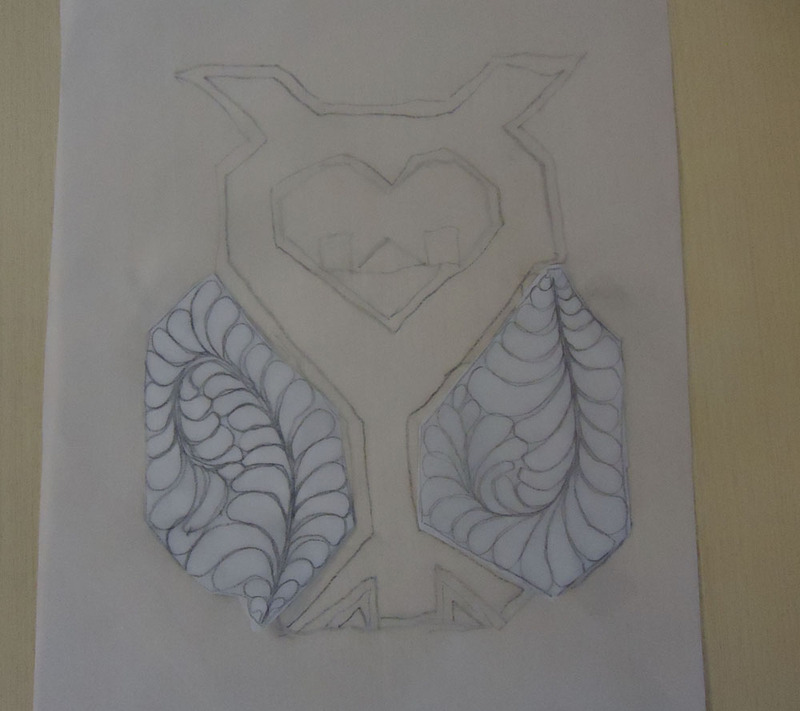 To determine how to quilt the owl, I traced the owl on a sheet of tracing paper and then tried out some feather patterns in two directions. 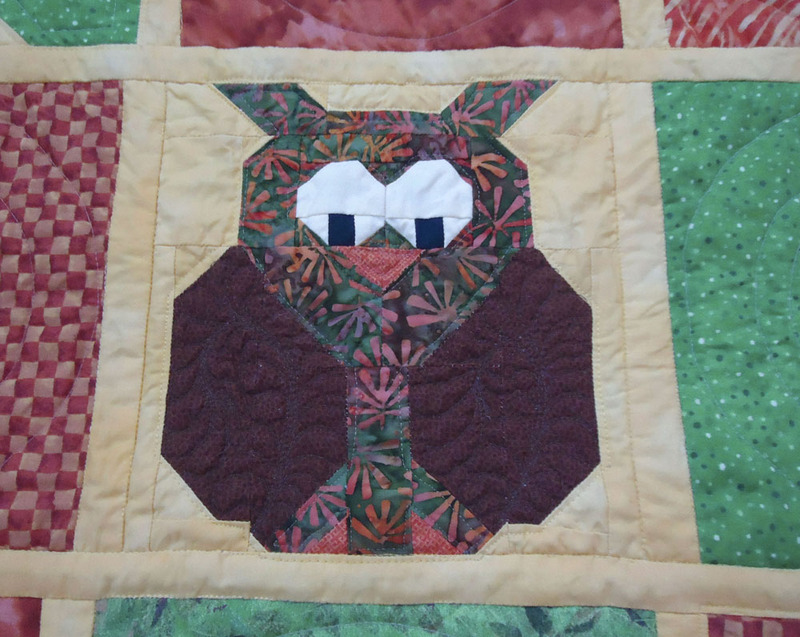 I decided to quilt the feather in the same direction as the owl. 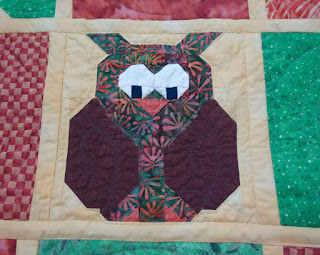 As I look at the quilting pattern now, I think I like the upside down feather better - oh well... He's still a handsome fellow! 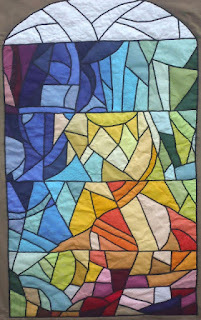 Testing the quilt was a great experience. Joanne did a wonderful job on the pattern. I really liked the way she laid it out with simple illustrations. I was even able to contribute with some suggestions! When I first started the project, I kept having to remind myself to read the instructions! I guess when we're familiar with some of the process, it's easy to skim over the instructions and just go ahead. For Joanne's sake, I did read everything carefully. I need to invest in one of the many circle templates available - I used some plastic lids. They worked well but I only found a few sizes. Maybe that needs to go on my Christmas list! I really enjoyed making the pattern. 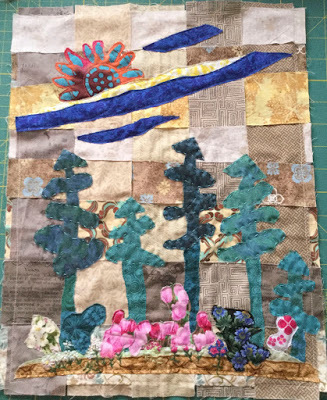 I was, however, reminded of why I love creating art quilts without patterns - the accuracy of my piecing is really not great, even when I pay attention! 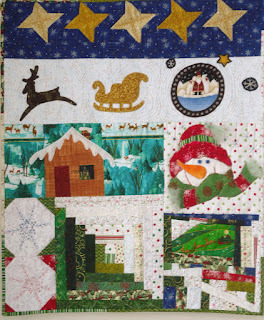 If you like this project, check out Canuck Quilter Designs's website. The Tic Tac Who pattern will be available soon. 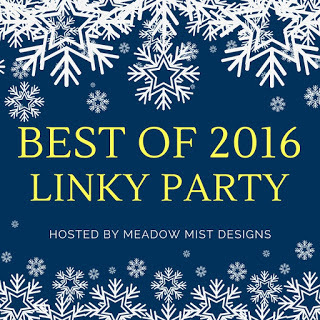 I will be linking to these Linky Parties. 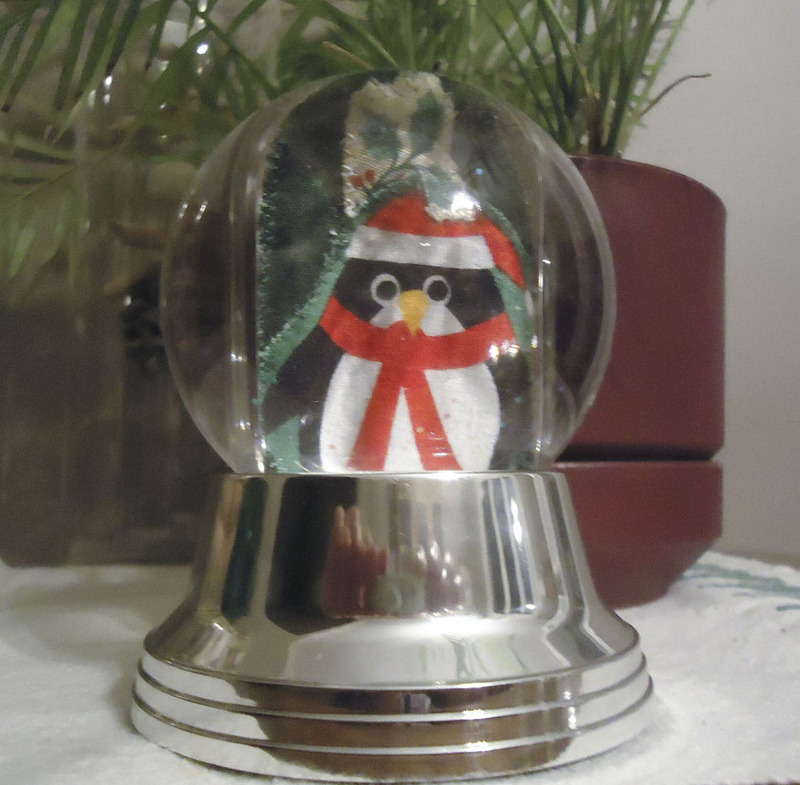 Check out what everyone is making! MOP Monday, Monday Making, Off the Wall Friday, Needle and Thread Thursday, Midweek Makers, Let's Bee Social, Linky Tuesday, Finished or Not Friday, Can I get a Whoop Whoop? 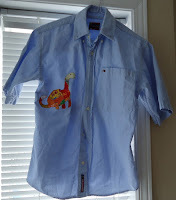 I just finished embellishing a fun dress-up shirt for my friend Sonya's son. He loves trucks and dinosaurs and now he'll have his own dress-up shirt to play in. I found the truck at kidsplaycolor.com It's a simple dump truck that I could copy and then embellish. I drew the truck onto freezer paper. Not an easy thing to do since I was at the fall retreat and didn't have a printer. 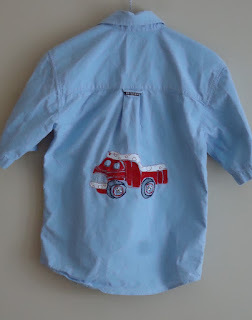 I cut out the truck shape and used the freezer paper template to copy it onto the shirt. 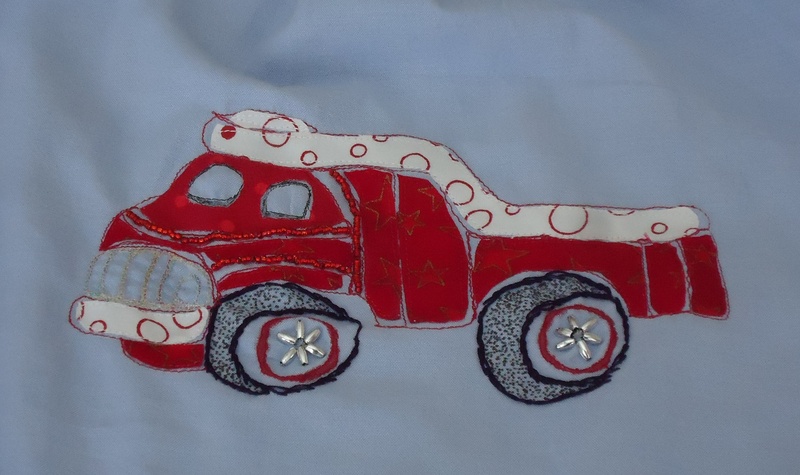 I then sewed the truck outline in red and then embroidered the tires in red and black. The metal-looking beads are perfect for the tire rims. The grill of the truck is sewn with metallic thread from the bobbin. This week I read Lara Buccella's Crafted Appliqué book. I had seen all of the blog posts about her book and was looking forward to reading it. Her technique is really great. I used it for both the truck and the dinosaur. 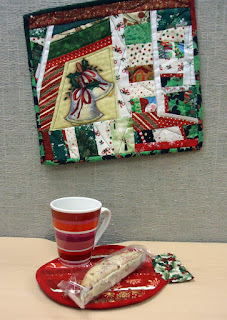 Frankly I hadn't even though of using appliqué in this project until I read her book. It was the perfect technique. Once I finished the appliqué, I used a black fabric pen to outline the windows and finish the tires. I also added three rows of red seed beads. A very cool dump truck! For the front of the shirt I found an easy dinosaur to draw from fourpencil.com It's a Diplodocus. 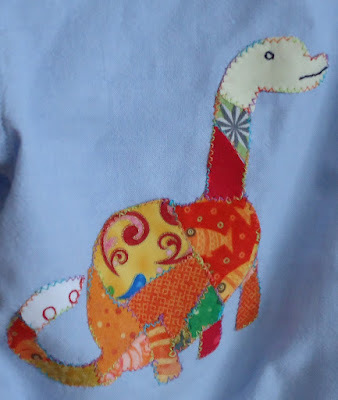 To cover the Diplodocus, I took out all of the colourful scraps I could find. 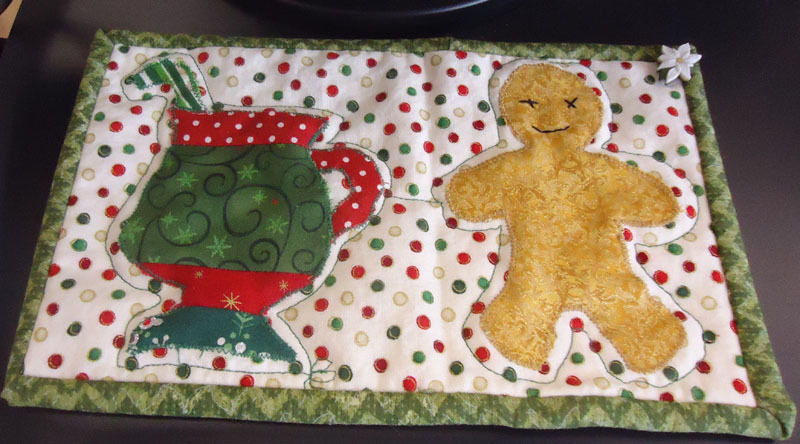 I used the Crafted Appliqué technique,and then cut and ironed the fabric pieces in place, I used a multi-coloured King Tut thread to zig-zag stitch around each fabric piece. I embroidered the mouth and the eye with black embroidery floss. I really enjoyed making this piece. I wasn't sure how I was going to fill in the truck, so I was really glad to read about the Crafted Appliqué technique. I didn't think that I could draw both the truck and the Diplodocus from the computer screen. I am very pleased with the results. I've linked this post to the following parties - please check them out! Can I get a Whoop Whoop? Off the Wall Fridays, Oh Scrap! MOP Monday, Monday Making, Main Crush Monday, Slow Sunday Stitching, Let's Bee Social, Midweek Makers, Needle & Thread Thursday, Off the Wall Friday, Fabric Frenzy Friday.